Join US TO ...UNCOVER THE PAST! WDM consults for the popular TV show Hawaii Five-O. 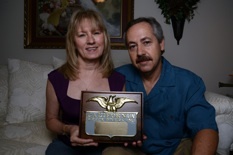 WDM RECEIVES CALIFORNIA WRECK DIVERS HALL OF FAME AWARD! We’re excited to report that Wreck Diving Magazine has just created Shipwreck Exploration Society (SES), a non-profit, 501(C)3 organization created to fund and exploration. Our newest project is to locate a B-17 which crashed off the coast of Germany in WWII, and bring the remains of airman Charles Crawford and his pilot home to be buried with his parents. Please help us by donating generously. 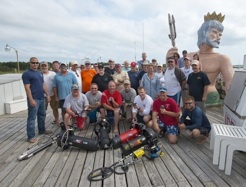 Wreck Diving Magazine completed Wreck-Week in Morehead City, North Carolina. WRECK DIVING MAGAZINE NOW AVAILABLE ONLINE! 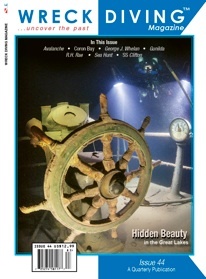 A digital edition of Wreck Diving Magazine is now available thru zinio.com. It delivers the exact same material you get in print, plus exclusive features like video, audio and live links, on your iPad, desktop and laptop. WDM dives the wrecks of Bermuda! Join us as we dive the Spanish galleon Atocha with Mel Fisher’s Treasures!